We are counted among agile Manufacturers, Importers, Exporters and Suppliers of Noise, Vibration & Harshness Instruments from Delhi, India. The Instruments are made from superior quality material in conformity with set industry norms. Buyers can acquire a huge range of Noise, Vibration & Harshness Instruments from us at industry leading prices. 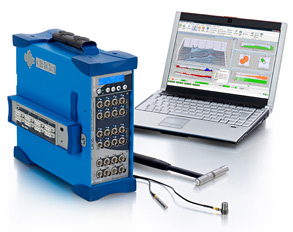 Our Product portfolio for Noise, Vibration and Harshness consist of Dynamic Pressure Piezoelectric, Pressure Sensors Absolute, Piezo resistive, Isotron Accelerometers, Microphones & Sound Intensity probes, Dynamic Signal Analyzers, Torsional vibration analyzer, EOL analyzer and Delta (R&D) analyzer for engines and Gearboxes. Non-contact Laser dvibrometer, Pressure mapping, Can based data acquisition modules, Electrical parameters monitoring, Servo Hydraulic and electrodynamics shakers and controllers, Acoustic chambers, Microphone Transverse System, Miscopies, Anechoic Room, Reverberation room, sound proofing box , Environment chambers , Software Solution for Sound Design , Machinery Fault Simulator, Servo- Hydraulic Shakers, Shake Tables and many more product related to NVH testing.